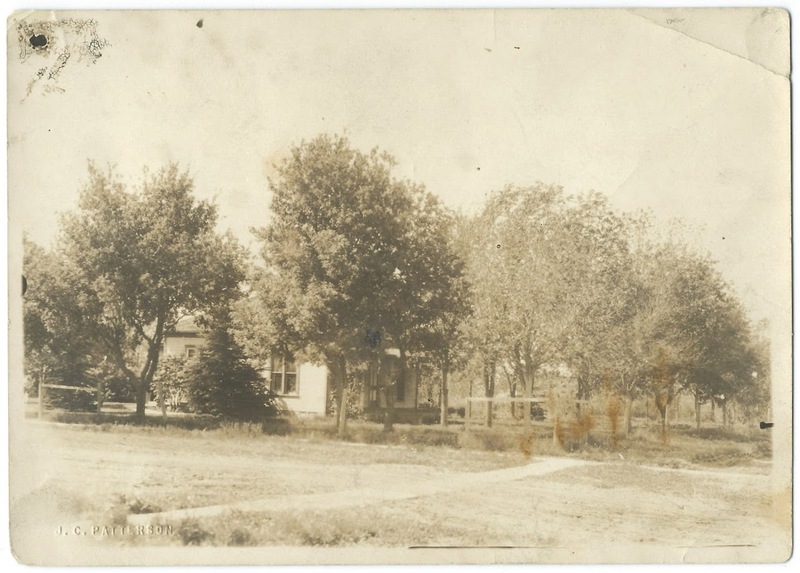 1922 photograph, 5" x 7", of the residence of A. E. Beaudoin at Lebanon, South Dakota; presumably Amos Elias Beaudoin. 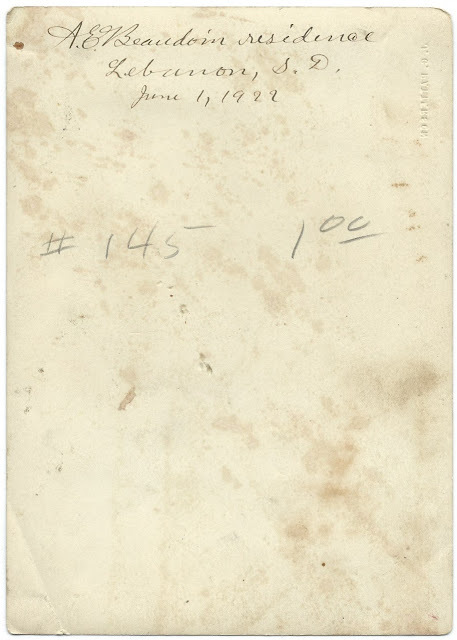 Amos Elias Beaudoin was born September 11, 1863 at Kankakee, Illinois, son of Israel and Harriet (Rantz) Beaudoin, who were born in Quebec and Pennsylvania, respectively. Amos moved to South Dakota, where he married Marie Catherine McLain in 1901 at Lebanon. They raised a family of four, I believe. According to one online reference, Amos had started out farming but a shoulder injury pushed him toward the printing business. He became the publisher and editor of the newspaper Lebanon Independent (1896-1939). If you have corrections to the information above, or information on the A. E. Beaudoin home or family, please leave a comment or contact me directly. Thanks!